Travel Expert, Jessica Dodson, is back—but this time with a road-tripping companion. As the summer season comes to a close, these two discuss some essentials for that last road trip you have planned that will make the car aspect of your journey actually enjoyable. Yup, we said it, the car can be FUN if you know exactly what to pack for the road! 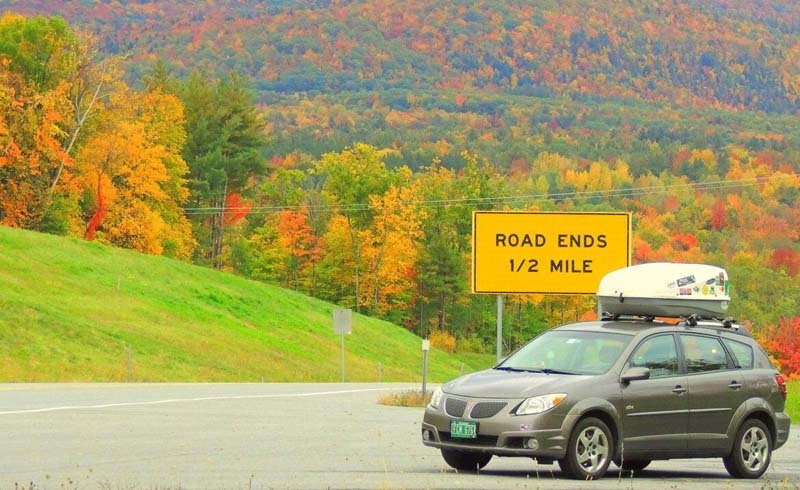 Preparing your car for a road trip is an important first step—take the time to check over the basics and make sure you pack the essentials, such as the car manual, jumper cables, a flashlight, headlamp, and extra oil. Store these items in one place with a large packing cube under a car seat or in the trunk, so it’s easily accessible in case of an emergency. If you’re the passenger, (we believe) this is your duty. We’re talking music, podcasts, books on tape—have them ready prior to the trip as the right tunes are essential to a memorable experience! Even better, create a playlist of road trip songs, specifically. Don’t forget those chargers! Car chargers are particularly vital on a road trip. Also, if you’re not driving, take full advantage of that view. Bring a camera—you won’t regret it. Sit back and relax. Bring along a cozy blanket that goes all the way to your toes, and a squishy travel pillow that morphs to your needs. Bring a lumbar support pillow for the driver so that everyone is comfortable while the miles role by. Keep your feet warm with comfy socks, too, and wear shoes than can easily slip on and off for your convenience. A beanie or hair tie will hide that sleepy-head look when taking breaks, or once arriving at your destination. Windbreakers are a good idea for the all weather circumstances you’ll likely encounter on a road trip—they’re just light enough to not overheat, but keeping you dry if it rains on your parade. That being said, wear layers to easily cool-off or warm-up. Of course, everyone has their personal preferences, dietary needs, etc., but we recommend a mix of healthy travel foods and snacks. Choose nuts to fill you up, some simple carbs such as chips to feed your brain, cuties oranges for your immunity, and even sweet treats as a quick pick-me-up. All of which won’t go rancid easily, while also keeping you awake and sustained. Have a trash bag nearby for less mess. If you decide to have a picnic, or camp overnight, things like a picnic blanket and cooler are extremely useful. Remember—road trips are about enjoying the ride. Stop and smell the roses. Make it fair! When you’re traveling with friends, bring a communal sac for everyone to contribute gas money. Have some left over? Great. Split it evenly or buy everyone a beer…or two. Accidents happen and being on the road for days can take a toll on the body. Band-Aids, Neosporin, bandage wrap, Advil, hand sanitizer, and vitamins all fit nicely in a quick trip bag in case accidents happen. Per usual, the best bags for your road trip depend on the type of trip. If you’re camping, duffels are great for space and withstanding the outdoor environments. If you’re heading to more urban areas, 4-wheels are extremely convenient when cruising around. Regardless of luggage, packing organizers in the car are a MUST. We suggest brighter colors and prints to spot things easier when crammed in a car. Ready for your road trip? All that’s left is to grab your gear, gas up your ride, and hit the road!